Razer announced that the official Razer Game Store will launch on Lazada Malaysia on November 11, just in time for the 11.11 shopping festival. 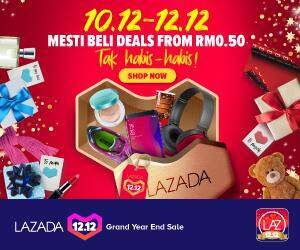 Lazada shoppers in Malaysia may choose to pay for their online purchases physically at 7-Eleven stores around the country, or via installment plans serviced by Maybank. These local pricing and payment methods make it seamless for gamers in Malaysia to access and buy the latest and greatest PC games without having to deal with complicated exchange rates or uncertainty in the authenticity of purchases.